We are nothing without the strong referrals we receive each and every day. Here are a few from clients that inspire us to continue to innovate and grow. All reviews originated from Houzz. As clients of Bouma Builders, our feedback summary is straightforward: Bouma Builders are a high performing organization, as demonstrated by their superior home build planning, excellence in communications, and outstanding quality of each and every deliverable throughout the entire build evolution. Ultimately, they made our dreams of a high quality, modern and contemporary home a reality. As a couple retiring to the Chatham area from afar, we are completely satisfied with the performance that Bouma Builders delivered. They demonstrated excellent teamwork across the board, with all the various work disciplines involved in such an endeavour. The leadership and project management that both Scott and Mike demonstrated is at the core of this success. Our view is that they are the first choice for building dream homes. – Communication. We dealt extensively with Scott and Mike, and they were extremely responsive throughout the whole build. We asked a million questions and brought forward many design proposals, and they patiently and knowledgeably responded to each one. – Bench Strength. Working through the build, we learned just how many different skill sets are required to construct a quality home. 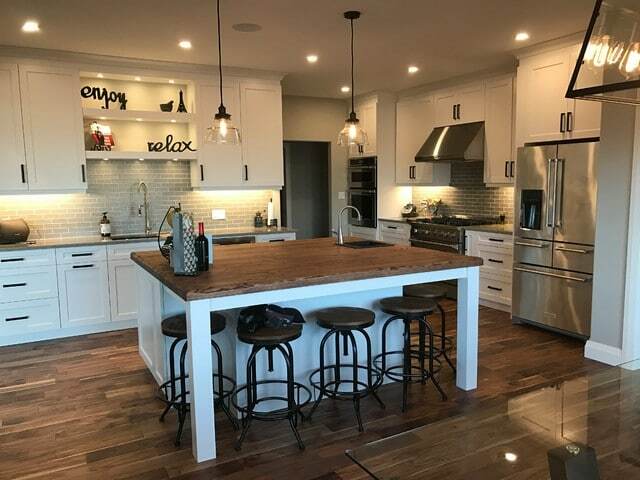 The Bouma Builders crew is made up of several highly talented (and super nice) guys, and the sub-trades they work with are regarded as among the best in the area. Every trade that worked on the house, be it plumbing, electric, masonry, flooring, tile, finish carpentry, etc, was a true professional and it showed in the finished product. – Organization. The Bouma team was very organized and held to the schedule and budget for the build with great precision. We were back in the house precisely when they told us we would be and their cost estimates were very accurate. All along, we never had the feeling that progress was running behind or that we were being neglected in favour of another project. In summary, we are very happy clients of Bouma Builders and would recommend them to family, friends, and internet strangers. If you are looking for a team to partner with to construct your forever home, I’m not sure you can do better in our area than with Bouma. Bouma Builders Inc. tackled a huge job renovating and adding on to our previous home, they completed this task Extremely Efficiently, remodelling and adding on to a our previous home. At the same time making it wheel chair accessible, along with seeing our vision keeping it modern that we worked with Scott and Mike on paper with. Seeing our “Dream Home” come to life every week was so exciting. Bouma Builders exceeded our expectations every single task, question, email , text were answered, they were 100 % dead on with their timeline from starting day to completion! We hired Bouma Builders to build our retirement home. Mike and Scott did not disappoint. Their professionalism, home building expertise and attention to detail were evident start to finish and beyond move in. We were provided a schedule of the building process up front and contrary to what most expect when building a home, it remained on schedule. We moved into our home in the Fall of 2016 and couldn’t be happier with the final product. Any little issues have been dealt with quickly and to our satisfaction. 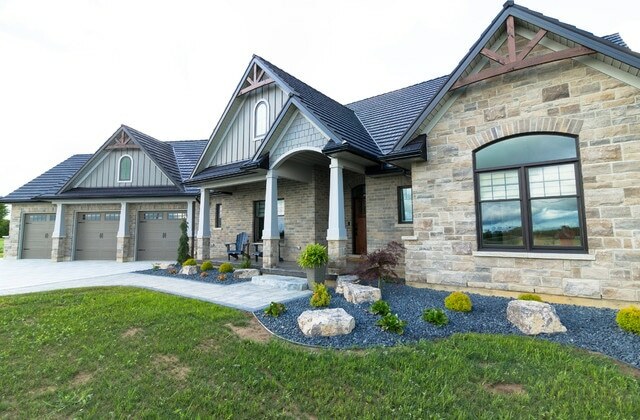 We would 100% recommend Bouma Builders to anyone wanting to build a quality, custom home. I can not say enough about the professionalism and quality of Bouma Builders. We built a home with them last year and couldn’t be happier. Mike and Scott were amazing to deal with, the quality is second to none and the entire experience was a breeze. We had many people assume that the building process would be trying and stressful – quite the opposite! Bouma made the entire experience an adventure and I would (and have) recommend them in a heart beat. Trust Bouma’s expertise… you won’t be disappointed. Bouma Builders came highly recommended to me by friends and family and they did not disappoint. Over two summers they built a perfect guesthouse/garage and a main house for me. They were highly competent and professional, not to mention a real pleasure to deal with. The results far exceeded my expectations. I cannot recommend them highly enough. The best. ‘Wow!’ is all I can say. They are great. You want a great builder build with Bouma Builders. I have had many people say would you do it again my response absolutely. No short cuts just a great built home. Thank you for making our dream home. 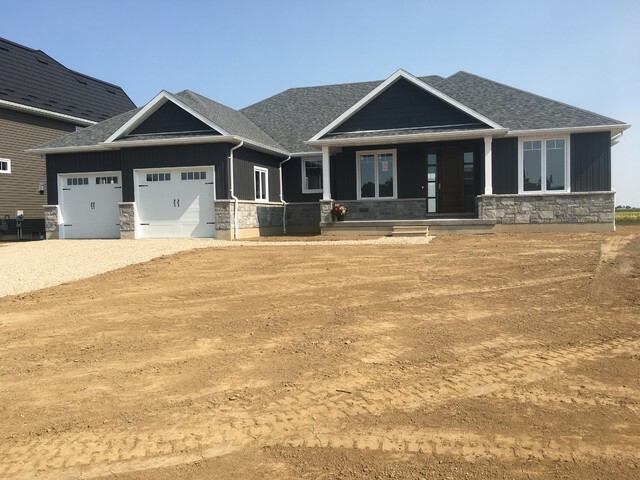 We recently purchased a home from Bouma Builders and we couldn’t be happier with the quality of the build and the exceptional service we’ve received. Scott Vandersluis has been wonderful to deal with, has always taken the time to answer any questions we have, and is incredibly fast addressing any concerns. The house is absolutely beautiful in every detail and we would recommend Bouma Builders to anyone looking for an exceptional, professional builder in Chatham.